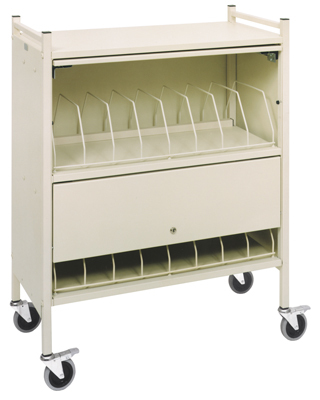 Our 36 space "Workhorse Series" chart rack is ideal for hospital and long term care chart storage at the nurses station. 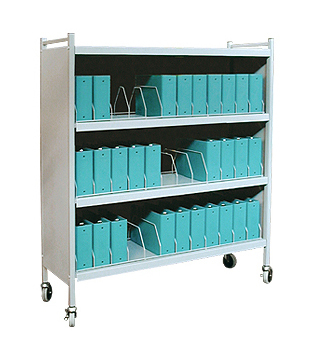 Features include welded color coated frames, organizers and shelves. To essure a quiet ride when making "rounds", 4 rubber silent rolling casters are supplied. This chart racks is shipped assembled. Backed by our 7 year guarantee.